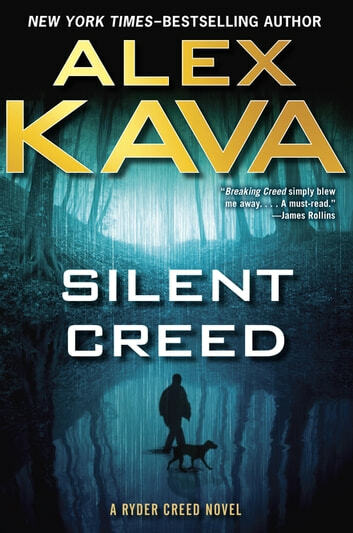 I thought that this was another solid book by Alex Kava. I have been a longtime fan of this author and have read every single book of hers that I have been able to get my hands on so it was no surprise that I was incredibly excited to get my hands on an early copy of this book. I am happy to report that this book lived up to my expectations which were admittedly high. This book is listed as the second book in the Ryder Creed series but I feel like it should probably also be listed as being a part of the Maggie O'Dell series since her character plays a pivotal role in the story. This book could probably be read as a stand alone novel but readers of both of these series will probably get a little more out of the book since they will know the backgrounds of these characters. Most of the characters from the Maggie O'Dell and Ryder Creed series are at least mentioned in this book. Ryder Creed is a wonderful character. He is a dog handler who trains and works with a variety of dogs and is often called in to work in tragic situations, such as after a natural disaster, finding someone who is lost, finding cadavers, and even to search for drugs. In this case, he is working a landslide in very dangerous conditions. Creed's dogs are really well developed characters as well. I just loved Gracie and Bolo in this book. This book looks a little deeper into Creed's past with the military which gives a little more insight into his character. Maggie O'Dell has worked with Ryder Creed on several prior cases and when Maggie gets called to look into a government research facility murder that occurred in the landslide area the pair work well together. In this story, we see Maggie working alone, Creed working alone, and them working together almost equally. While there has been some hint of romantic feeling between the pair in previous books and some mention of it in this one, I didn't feel any sparks or chemistry between them. Of course, Creed is pretty beat up for a lot of this installment and I didn't pick this book up hoping for any kind of romance. I liked the pacing of the story and found myself reading most of the book in one sitting simply because I didn't want to put it down. The story did take a few twists but nothing that was really unexpected. It was a fast paced novel and there were a few scenes that really made me think. The descriptions and the details really put me in the middle of the story. There was a little bit of unfinished business at the end of the book but nothing that felt like a cliffhanger. I would recommend this book to mystery fans. I think that long time readers of the Maggie O'Dell and the newer Ryder Creed series will be pleased with this newest installment. I definitely plan to continue reading Alex Kava's work and am already looking forward to her next book. I received an advance reader edition of this book from Penguin Group - G.P. Putnam's Sons via NetGalley for the purpose of providing an honest review. I agree with this author: four-legged heroes should be treated with respect and appreciation. Bring these hard-working dogs back home and unite them with their partners. To kill these dogs after they have obediently given their all is deplorable. i always read Alex Kava books when they come out. Really liked Silent Creed, was surprised when it ended so quick. Looking forward to the next one. Not a bad read, I have read better books by this author that keep you on the edge of your seat. It is an anti-climatic ending. If you loved the Maggie O`Dell series, you will continue to love her along side Ryder Creed. A must read for any dog lovers out there! You won't want to put it down!